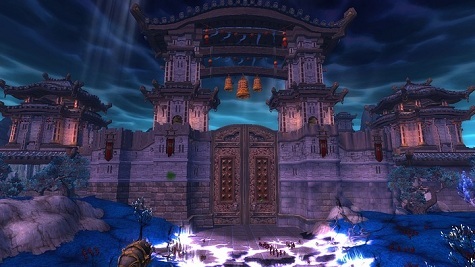 Last week, Blizzard Entertainment released the v5.1 patch for World of Warcraft: Mists of Pandaria that brought some significant changes to the game. We take a look at some of those changes. Read on! The patch lands (pun not intended) with a series of quests to work for your faction and their constant battle over the new land of Pandaria. The quest lines allow you to summon fleets and work with heroes of both sides to prepare for war. It really makes you wonder what the agenda Blizzard now has for Warcraft. Is it something that they will continue to grow until the game reaches all out open war? If they continue to add more rewards and quest lines Horde and Alliance players may escalate their conflicts. I mean afterall the expansion just came out, however there is a lot more of a swing towards PvP style game play. Even from a PvE standpoint with quest-lines and faction achievements to drive playersâ€™ motivations. If the game really is considering taking the factions to open war eventually it could be a bold move. I know if a WoW patch or expansion launched which focused on a huge PvP upgrade to the game I would definitely be excited about playing.